Shrewsbury Evangelical Church (SEC) is an independent evangelical church where you will be assured of a warm welcome and true Bible teaching. We hold the Bible as the final authority on all matters of our Christian belief and behaviour and we proclaim the good news of the Lord Jesus Christ. We have been worshipping in the town since 1981 and we called our first minister in 1986. 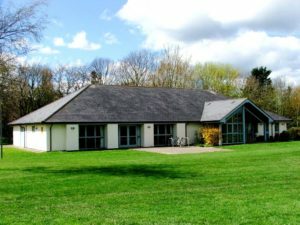 Since our inception we’ve met at various rented premises in the town centre, and then in July of 2014 we relocated to the Mereside Community Centre in the Springfield Estate area of the town. Shrewsbury Evangelical Church is affiliated to Affinity. The word ‘Evangelical’ in our name means that we identify with Christians who for 2000 years have looked to the Bible for what to believe and do. We thank God for all he has done for us, and we believe his promises; that he is with us now, and that we shall be with him forever. For all this we worship him, and we warmly invite you to join us. God is personal and has spoken to us in his Word, the Bible. The human race rebelled against him and rejected him. We are individually responsible for our sins. We must face God as our judge. God is holy, merciful and loving. He sent Jesus Christ, his only Son, to be our Saviour. Forgiveness is offered to all, and that all who believe in Jesus Christ will be forgiven. Our worship is centred on Jesus Christ; God can only be approached through Him. It is simple; easy to follow and without complicated rituals or ceremonies. Our Sunday services consist of prayer, the public reading of the Bible, singing hymns and preaching from the Bible. It is Bible-based; seeking to follow God’s ways of worshipping and serving him. 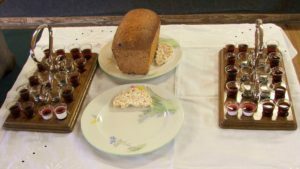 The Lord’s Supper (Communion) is held on the first Sunday of each month in the morning service and the third Sunday in the evening service. All those who have repented of their sins and trust in the Lord Jesus Christ alone for their salvation are welcome to participate. Following the morning service we invite you to stay and have tea, coffee or a cold drink and get to know us!